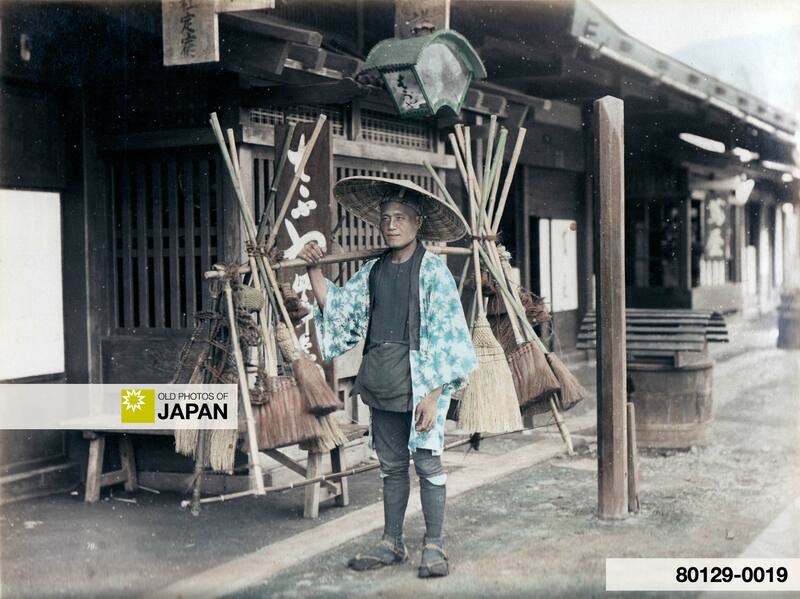 A street vendor carrying brooms (箒) balanced on a carrying pole. To protect himself from the elements, he is wearing a broad bamboo hat, known as a bachoukasa (バッチョウ笠). Vendors like him used special calls to make potential customers aware of their arrival. You can also licence this image online: 80129-0019 @ MeijiShowa.com.